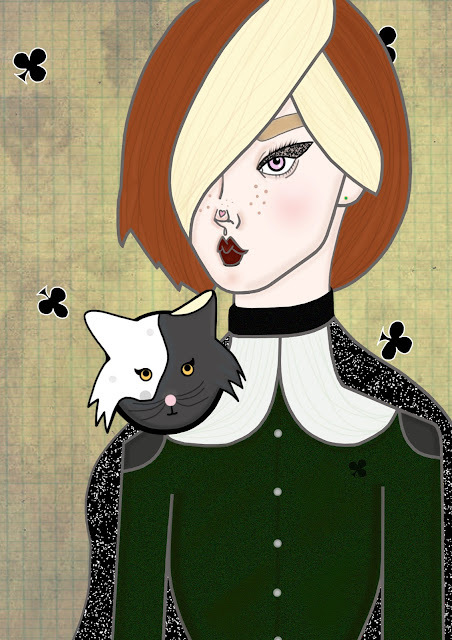 Carly Watts Art & Illustration: Rogue's kitten. This would be another cool idea for a Halloween costume. This is inspired by the character of Rogue from X-Men (who I really love) but I decided she needed a little feline familiar seeing as it's Halloween. I hope you all have a fun evening if you have special plans! Aaw your cat is so cute!